HTC and Microsoft have made a bold move by introducing a new Windows Phone device that looks suspiciously like an existing Android phone. 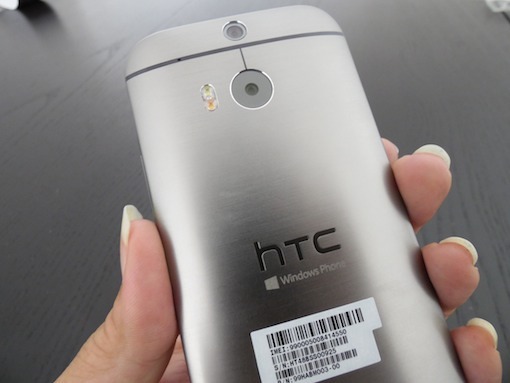 The new HTC One M8 for Windows is identical to the "old" HTC One M8 that launched with Android earlier this year… until you turn on the screen. Instead of the familiar HTC Sense interface, you're greeted with the tiled glory of Windows Phone 8.1. Other than that, there's no difference between the two phones. Hardware, design, everything else is identical. 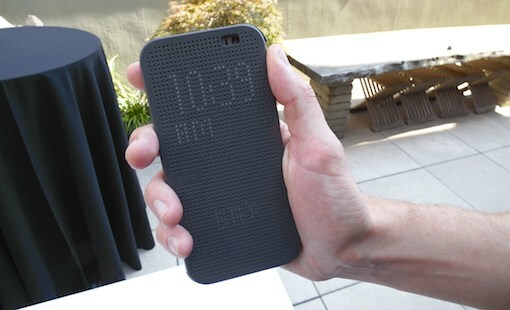 As you know from reading our story on the Best Android Phone, we're big fans of the HTC One M8s design. It's comfortable to hold, slim, lightweight, and solid. The metal design is good-looking and sturdy. And, of course, the BoomSound speakers are the best of any smartphone we've tested. All of that is available on the Windows model, too, making it one of the better looking and compact high-end Windows Phones. Not too long ago WP devices didn't have as much power under the hood as comparable Android phones. Not in this model. The same quad-core processor and 2GB RAM run the show here. Windows Phone 8.1 looks stunning on a 5-inch full HD 1080p resolution display. So far in the time I've had with it, the new One M8 runs as smoothly as the Android version. Though HTC doesn't have free reign with the interface under Microsoft's rules, the company did bring over some of their key features. There is a BlinkFeed app that doesn't take over the Home screen but exists as a Live Tile there at launch. And the Dot View case--which shows the time, incoming calls, current weather, and other information--works with this new phone as well. Microsoft had to do a little tweaking to Windows Phone to make that possible, which shows that they're willing to bend the rules a little for HTC. Just as with the Android version, the camera experience could be better since it has only 4 ultrapixels. On that point Nokia remains the champion--even their lower end phones have at least 8MP and the Lumia 1020's 41MP camera outshines them all. With the same battery inside, the Windows One M8 will probably last as long as its Android counterpart or perhaps longer, as WP 8.1 may not have the same power requirements as Android 4.4. We'll test it and find out. 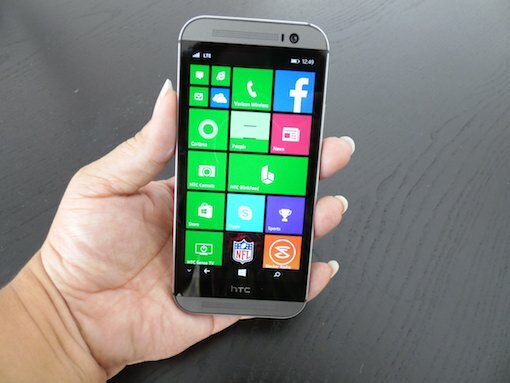 All in all, the HTC One M8 for Windows is an exciting one for those of you who love Windows Phone. Up until now there have rarely been many outstanding models to come out, with most of the innovation and good design going to Android. Now Windows fans get a taste of this, and they get it in the form of one of the most popular phones to come out this year. A phone that already has support from multiple case makers and accessory manufacturers. It's a win for everyone. The One M8 is available online at Verizon Wireless right now. The introductory price of $99 is a good deal if you can grab it up by September 1. After that it goes up to $199 - on par with the Android version, but a little more expensive than some other Windows Phones.